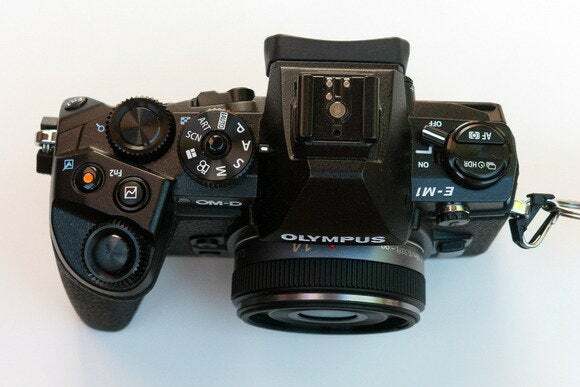 The OM-D E-M1 is the best mirrorless camera ever from Olympus, and it’s attracting interest from serious photographers who had, up until now, ignored Olympus and Micro Four Thirds technology. But the E-M1 deserves all the attention—it’s the new champ in the “lightweight heavyweight” class. The E-M1’s sturdy magnesium body is splash and dust resistant, and freeze resistant down to 14º F (-10º C). At 1.1 pounds with a battery and SD card, it’s lightweight compared to, say, a full-frame Sony A99 (1.8 pounds). And while not tiny, it’s not a lot bigger than my iPhone 5 in its Otterbox case. The E-M1’s electronic viewfinder (EVF) is the best I’ve ever used, with 2.3 million dots providing 100 percent coverage at a stunning 1.4x magnification. At 21mm, the eye-point is high enough to allow me to shoot while wearing glasses. And it doesn’t suffer from the high-contrast problem I reported when I reviewed the Sony Alpha SLT-A77. Rear view of E-M1. The monitor tilts out, which helps when you want to hold camera over your head or put it low to the ground. But most of the time I use the excellent EVF. Notice the 1-2 lever immediately to the right of the EVF: Like many of the buttons you see here, the lever is user-configurable. By default it changes the operation of the front and rear dials but I have mine set to switch from manual focus (position 1) to autofocus (position 2). The mode dial can be locked by pressing the center button down. The E-M1’s body is packed with buttons and levers and switches, yet everything makes sense and the design is not busy. Atop the power switch on the left you’ll find two buttons that, by default, control focus options and HDR or bracketing. On the right side of the camera are front and rear dials for aperture and shutter that, to me, are placed exactly right, along with the mode dial (now with a locking button), and two function buttons. 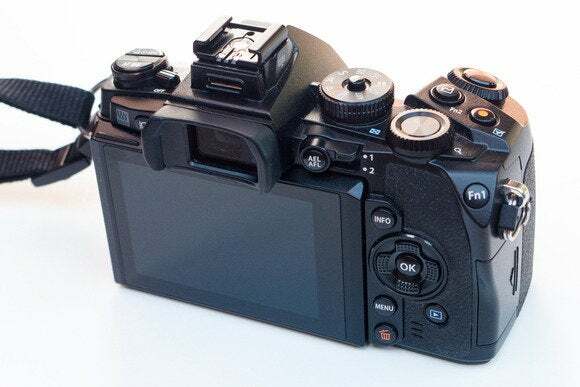 The default uses of the buttons make sense and you can certainly start shooting immediately, but practically everything can be reconfigured to suit your preferences. The Fn1 button, which I’ve set up for ISO, sits directly under my thumb. I can find every button on the outside of the E-M1 without hesitation and without having to take my eye from the EVF. One do-hickey on the back of the E-M1 deserves special mention: the two-position lever. By default, it changes the functions of the front and rear control dials. But it’s highly configurable, like almost everything else on the camera. I have repurposed it to toggle between autofocus and manual focus. The E-M1 comes with a small detachable flash. I use it only for optical triggering of several Olympus FL-600R flashes. The E-M1 lets me control groups of remote flashes from the back of the camera. And how fast is the E-M1? Max shutter speed 1/8000th of a second. Max sync speed for flash: 1/320th second. Max continuous shooting speed: 10 fps. It’s fast. View from the top of the E-M1. The grip lets you hold the camera firmly even if you have large hands. The front and rear dials and the other buttons lie right under your fingers when you need them. Do your job right as photographer, and the E-M1 will deliver images that do not disappoint. Automatic exposure is on target, if a bit conservative. Color is accurate and well saturated. I recommend shooting raw for maximum flexibility, and the E-M1’s ORF raw files give you lots to work with. But thanks to the TruePic VII image processor, in-camera JPEGs are quite good, with automatic correction of lens distortion and chromatic aberration. I continue to use DxO Optics Pro 9 to make these adjustments to raw files on my computer, but I’m starting to wonder if I’m not doing things the hard way. Like other Micro Four-Thirds cameras, the E-M1’s sensor has a resolution of 16 megapixels: small enough to keep a lid on noise, large enough for oversized prints. By eliminating the optical low-pass (anti-aliasing) filter, the E-M1’s sensor should, in theory, generate images with finer detail. 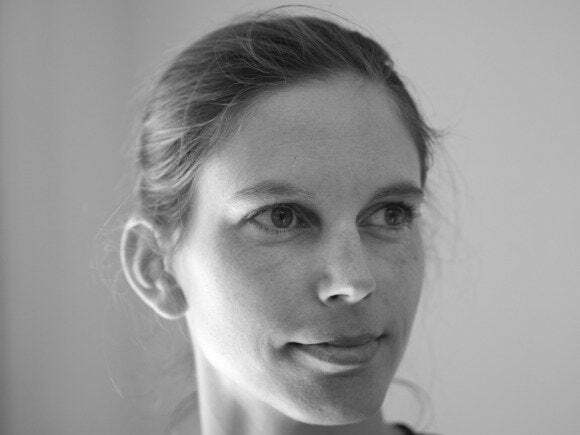 I can’t tell if it’s the lack of the anti-aliasing or the excellence of the lenses I’ve tested it with, but the E-M1 can deliver tack sharp shots. The ISO dial goes up to 25,600. As with every other camera ever made, noise increases with ISO. But between particularly between ISO 200 and 3200, with proper exposure, the E-M1 will deliver images that are as good as those from any APS-C camera today and that often rival images from full-frame cameras. Two shots of my wife's tutelary garden owl, taken with Olympus 75-300 4.8–6.7 II at 300mm (= field of view of 400mm lens on APS-C camera or 600mm on full-frame). Shutter priority at 1/60th of a second, hand held. I leaned hard against a brick wall and used my best technique on both shots. The steadiness of the shot on the left is accounted for by the E-M1's five-axis in-body stabilization (IBIS). The E-M1 is helped enormously by best in-body image stabilization (IBIS) around. 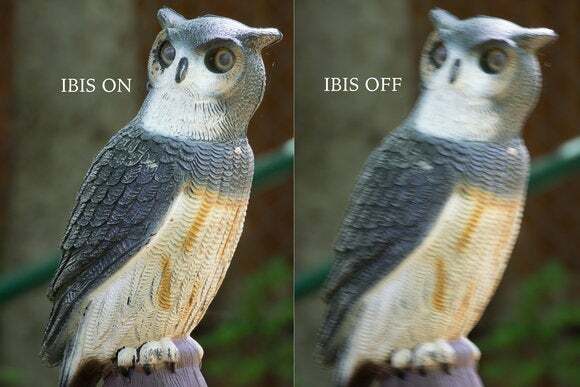 Olympus’s five-axis sensor shift IS technology adjusts not just for up-down or side-to-side camera shake but for rotation on three other axes, and it’s very effective. IBIS helps every lens you use on the camera and on a mirrorless camera like the E-M1, IBIS stabilizes the image while you’re composing the shot. The E-M1’s Dual FAST autofocus system combines on-chip phase detection autofocus with contrast detect autofocus for responsive, accurate autofocus. You can target focus on 81 (9-by-9) points, available almost anywhere in the frame. Touching one of the buttons on the four-way controller instantly moves the focus target, something I found disconcerting at first, but now regard as brilliant. On the other hand, when I’m shooting with the camera on a tripod, I find myself increasingly using the touch-screen to focus on the rear monitor. While I’m talking about autofocus, I have to mention the E-M1’s remarkable eye-priority face detection. I’ve not had good luck with face detection autofocus in the past, but the E-M1’s system is scary good. 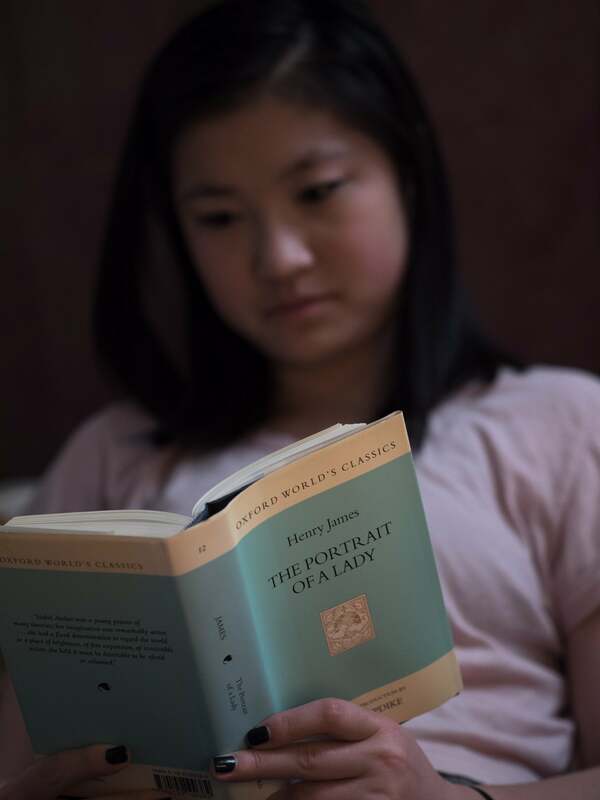 I still use manual focus fairly often, and high-tech innovations like focus magnification and focus peaking make old-school focusing easy and reliable. You can configure the camera to magnify the image automatically when you turn the focus ring of the lens, but I find that intrusive, so I invoke magnification by tapping a button on the front of the camera under the lens mount, which is within easy reach of the ring finger on my right hand. The E-M1’s video mode supports 30p only. By contrast, Panasonic’s best micro four thirds cameras serve up the whole can of p’s: 24p, 25p, 30p, 50p and 60p. Advantage: Panasonic. Nevertheless, even in regard to video, the E-M1 improves on earlier Olympus cameras. You can plug an external mic into the E-M1 and with a little trial and error (no graph for levels) adjust input levels. And the E-M1 has one or two proper strengths worth mentioning. The E-M1’s stunningly effective in-body stabilization isn't just for stills: it also makes it possible to shoot steady video without a tripod. If you’re a budding Roger Deakins or Gordon Willis, well, you have probably already placed your order for a Panasonic DMC-GH4. If, like me, you’re mainly a still photographer, the E-M1’s more limited video options, combined with its excellent IBIS, may be advantages. My favorite feature: you can take a still photo while shooting video. Like every camera, the E-M1 is a bundle of compromises, and no camera can possibly meet the needs of every photographer. But for many photographers, the E-M1’s compromises will seem reasonable, even if you are aware of what you’re missing. The E-M1 has built-in Wi-Fi that lets you communicate directly with a well designed free app on your iPhone or iPad called Olymus Image Share. In addition to serving as a great remote control system for the camera, Image Share can download pictures from the camera to your phone as well as geotag them. This ad hoc Wi-Fi system won’t let you copy pictures to a laptop. And geotagging on the phone isn’t as easy as having GPS built into the camera. But I’ve found it useful, while shooting in the field far from a normal W-Fi router, to be able to move a picture to my phone, geotag it, give it a quick edit in Snapseed, then use my iPhone’s cellular connection to mail it to a client. It’s a shame that the E-M1’s touch screen can’t be used to navigate its rather extensive system of menus or change very many settings on the monitor. Nevertheless it’s very useful for what it can do, like flip through pictures in review mode and change the focus target point or even focus and take a photo. A camera this dependent on electronics does require power, and battery life for the E-M1 is so-so. Olympus claims 350 shots on a single charge but that’s optimistic, especially if you rely on the monitor to compose shots, use continuous autofocus, turn on Wi-Fi, etc. Buy at least one extra battery when you order the camera. My most serious complaint about the E-M1 is simply that the learning curve is steep, since there are so many options. And the user manual is as bad as every other camera’s manual, which is to say, pretty bad. Of course, you can get shallow depth of field using Micro Four-Thirds cameras but it helps to have fast primes. This shot was taken with the Olympus 45 f1.8 wide open. The E-M1 is generally sold body-only ($1399.99 list, but available nearly everywhere for $100 less). If you’re new to Micro Four Thirds, you’ll of course want a lens. If you’re a zoom sort of person, the new M.Zuiko ED 12-40 f2.8 lens is fast and optically excellent but not cheap; the M.Zuiko ED 14-42 f3.5–5.6 EZ is slower, but it’s very good, it’s weather resistant, extremely compact and much more affordable than the 12-40 f.28. In my view, if you want to get the most out of the E-M1, go with one or more of the excellent fast primes available for Micro Four Thirds from Olympus, Panasonic and a number of fine third-party lens makers. Just keep in mind that, while most APS-C sensor cameras have a "crop factor" relative to full-frame of 1.5, the crop factor for Micro Four Thirds cameras is 2x, so “normal” field of view for the E-M1 is 25mm. The Panasonic Leica 25mm f1.4 seems to be the cream of the crop, but the Olympus 25mm f1.8 is less expensive and almost as good. But there are lots of options — over fifty lenses in all. Look for the “Micro” in Micro Four Thirds. Older Four Thirds lenses (many of them excellent) will work on the E-M1, too, but require an adapter. If you really need need the much larger files, slightly better exposure range or low-light performance of a full-frame camera, or if you can’t live without 1024p or 1060p video, then the E-M1 may not be for you. By the same token, if you just want to take good snapshots of your pets or your kids or your vacations, the E-M1 may be more camera than you need or want. 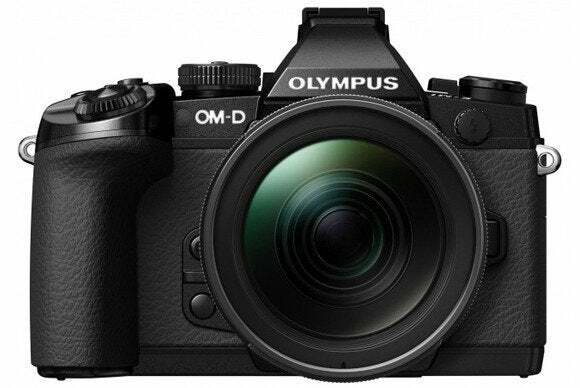 (Look at the similar but much less expensive Olympus E-M10 instead.) Otherwise, whether you’re coming from an older Four Thirds camera or earlier model Micro Four Thirds, or whether you’re upgrading (as I like to put it) from a bigger, heavier DSLR, SLT or mirrorless camera, I recommend the E-M1 highly.